President (2011/12) and Judge of the Appeals Division, International Criminal Court. 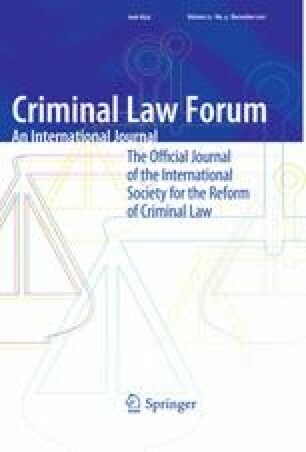 This contribution is based on a speech delivered by the author at the International Criminal Justice Symposium in Honour of the 80th Birthday of Professor Otto Triffterer in Salzburg, Austria on 18 March 2011. This contribution includes developments until October 2011. The views expressed are those of the author alone and do not represent those of the International Criminal Court.